Are you struggling to gain momentum with your content marketing? In a recent addition of ‘Whiteboard Friday’ over on Moz (formerly SEOMoz), Rand Fishkin explains a concept that he describes as the content ‘marketing flywheel’. 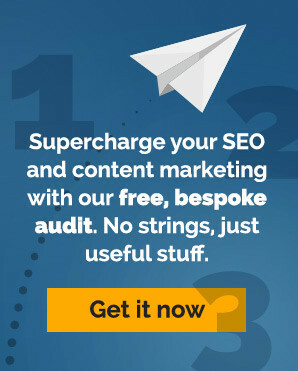 The concept of the content marketing flywheel is that by putting consistent effort into growing your presence in various channels – SEO copywriting, social media, email, content creation – you build momentum which makes it easier to increase your exposure in those channels with equal or less effort at a later date. You can watch the insightful video here, but right here we thought we’d take a closer look at practical things you can to get your content marketing flywheel turning and keep it spinning. Right from the start you should identify what content marketing channels will work best for you, ie where your customers are likely to find you. For example, consumer-facing companies will undoubtedly have better look with Facebook and Twitter in their social campaigns, while B2B businesses are often better off leveraging professional networks such as LinkedIn. You should also identify the type of content or copywriting that will work best on your website and in your off-site strategies. Once you’ve got a good handle on this you can get that flywheel turning by blitzing the channels you’ve chosen with quality content (note the ‘quality’). It may take a little time to get going but that’s why it’s important to stick with it and be patient.